Even the bathroom requires some thought as to design. 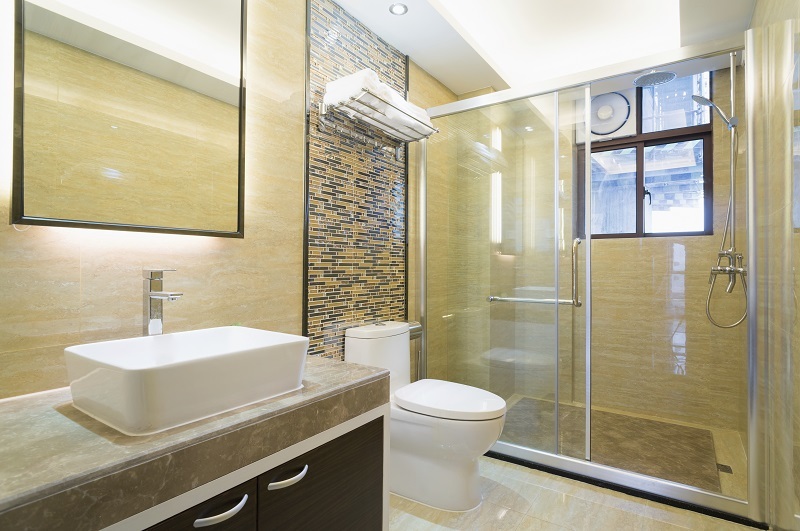 A bathroom is one of the most used rooms in your home and often the least considered when it comes to home redesigning. As some interior designers have noted though, sometimes with the bathroom, less is more. Every one considers the quality of the bathrooms when buying a home but most of the time a simple and sleek design can mean more than a lot of color and knick knacks laying around. Try the helpful tips below to find your perfect styling balance for your bathroom design. James Tabb, an interior designer with Laurel & Wolf recommends that focusing on function is primary in making a bathroom design. Decorative components should come later. After all it’s more important to make sure your toilet doesn’t clog and your shower head produces the right pressure more than if the expensive mirror you bought will stay on the wall. Go for high quality products on the biggest aspects of what your bathroom is used for. To save some money avoid using a lot of tile. There are other materials like ceramic or porcelain that can be just as pleasing to the eye without breaking the wallet. When you’re doing a major bathroom revamp make sure you’re cautious of what or who is on the floor below the bathroom. Costly leaks can challenge a renovation budget and it is always wiser to keep all plumbing in the same place. Another fast way to save money on a remodel is by purchasing a freestanding vanity instead of having one built in. Free standing vanities are the same quality and can still provide a unique flair to any bathroom with a little paint or stain. Start with one color and bring the bathroom to life by adding little touches that match. Many companies offer Color Tester Sample Kits to see what paint looks the best in your home.